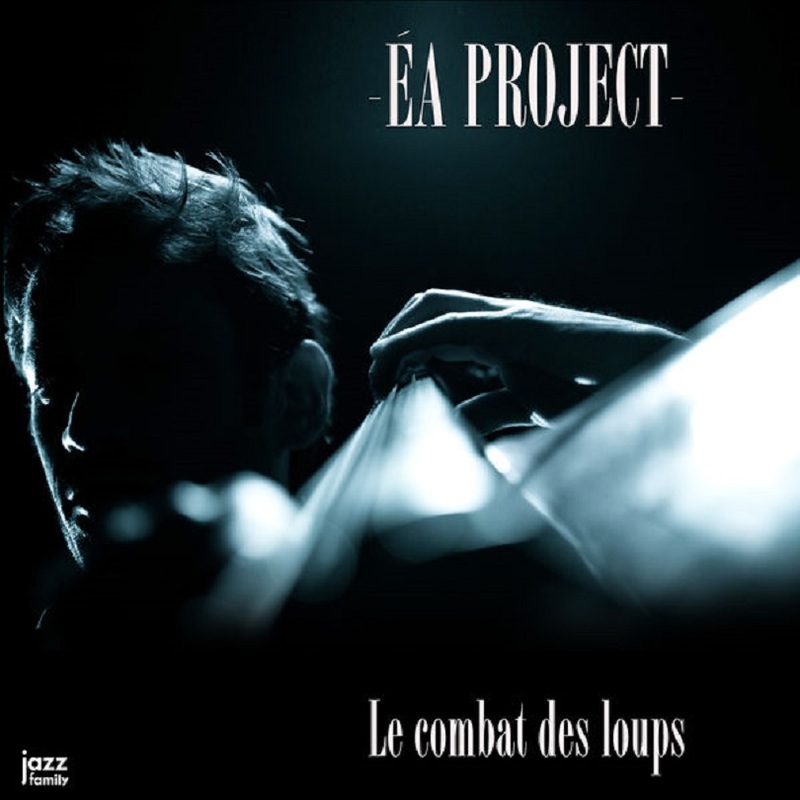 « ÉA PROJECT » est le nouveau quintet du contrebassiste et compositeur Martin Guimbellot. Sideman sur la scène jazz depuis plus de quinze ans, ce musicien inspiré au son généreux collabore auprès de nombreux groupes très éclectiques passant du jazz malgache (Ouranos Quartet) de l’électro-jazz (Why Cie) du bop (Jean-Philippe Gregoire Quartet/ Baptiste Herbin Quartet) etc… Il compose et joue également pour Mélina Tobiana Quintet (jazz soul) et Bloom (jazz/pop/latin). Cette formation en quintet autour de ses compositions exprime donc une musique résolument moderne mariant diverses influences. La tradition du jazz côtoie des sonorités plus métissées et très actuelles avec une volonté de rendre accessible les mélodies qui restent néanmoins très riches. Sa musique se veut underground, créative et il souhaite, par la variété de ses expériences musicales, toucher un public des plus large. Pour mener à bien son projet il s’entoure de talentueux musiciens de jazz. Stephan Moutot au saxophone ténor, diplômé de la New school University, a fait ses armes à New York pendant près d’une décennie notamment avec le groupe « The Flail » où il a acquis une solide expérience. 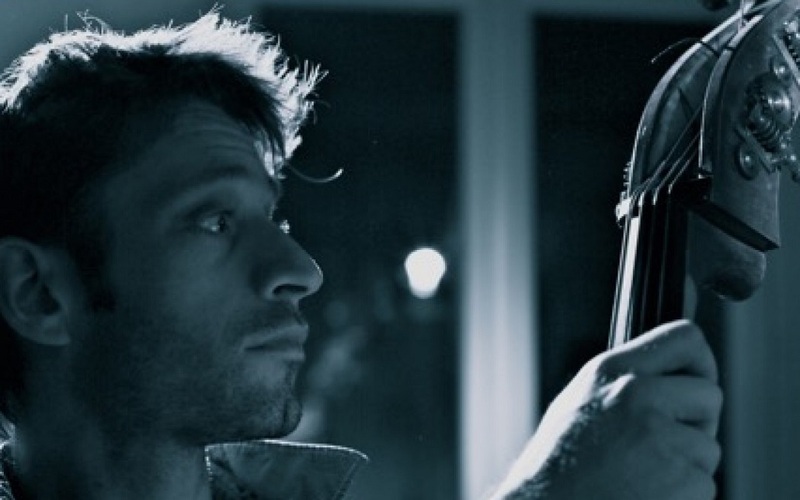 Yoann Loustalot et sa trompette sont reconnus dans le milieu du jazz français depuis fort longtemps particulièrement grâce à son travail de composition comme dans son trio Aérophone. La batterie subtile de Fred Pasqua égraine les plus belles salles de concert en Europe et collabore dans de nombreuses formations confirmées du moment. Enfin le jeune Simon Chivallon au piano, fraîchement sorti du CMDL (Centre des musiques Didier Lockwood), semble être, avec une technique irréprochable et une grande polyvalence, destiné à un avenir des plus prometteur. This collection of fifteen solo piano compositions reflects the spectrum of emotions we experience when alone, from the joys and inspiration of solitude, to the trials and darkness of isolation. These pieces are meant to celebrate those precious times away from the crowd, but also to encourage those who are in need of community and hope. 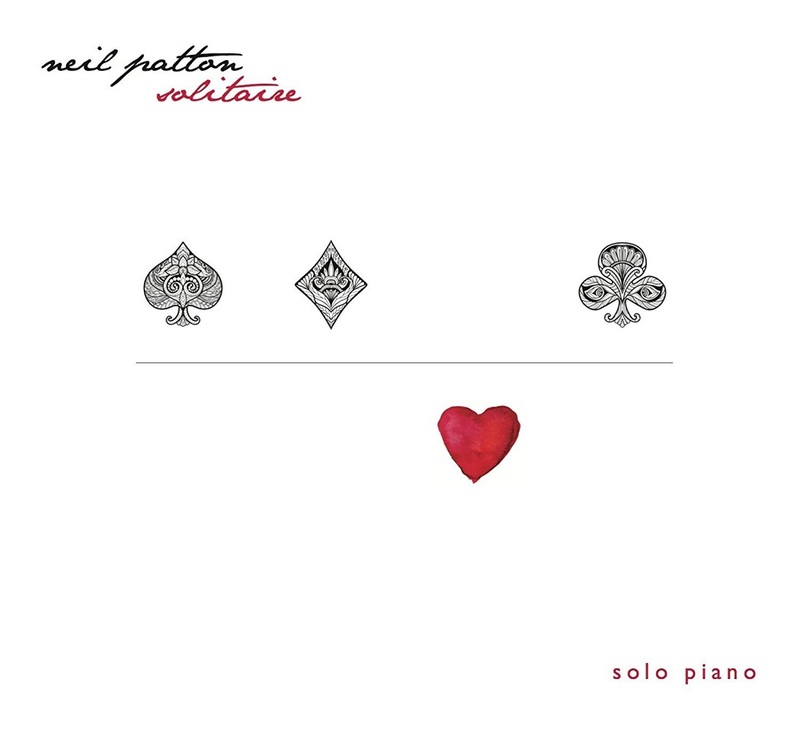 Performed on the same Yamaha C7 concert grand piano that Neil used for his previous two albums (Between Shadow and Light, and Hammer & Wire), these recordings capture the height, breadth and depth of sound that only a piano can produce, everything from delicate melodies to thundering rhythms. There is something for everyone in this collection. 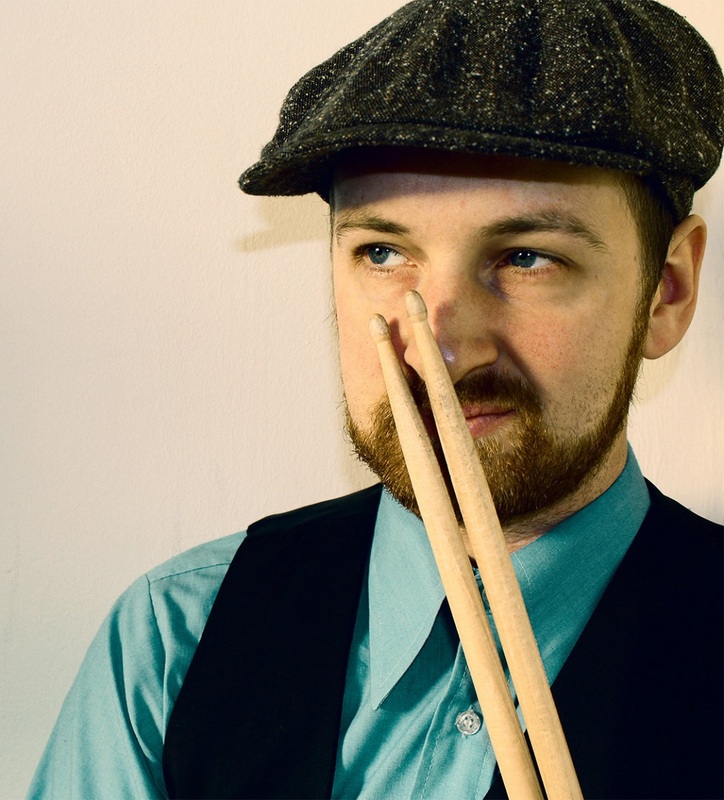 Most praised for his unique style and unerring consistency as a drummer, Tuur has developed a highly diversified artistic palette ranging from jazz and latin to African and Brazilian music. He mesmerizes audiences, performing in a deeply charged pace that begets soulful perfection. 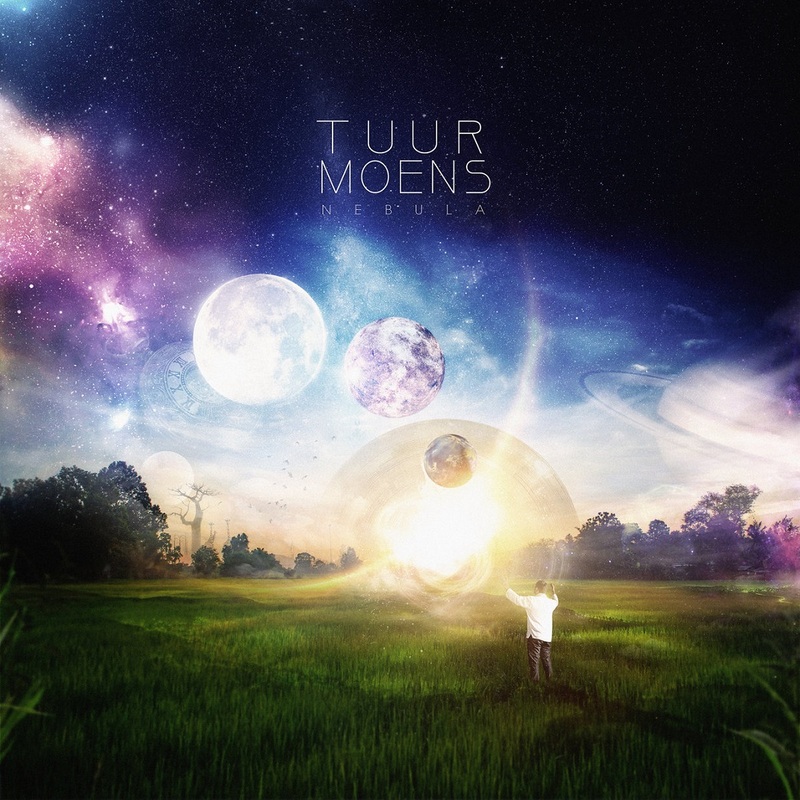 Tuur plays with Lura, Munir Hossn, Jorge Pardo, Teus Nobel, Rogier Telderman, and more. Full bio, see website. Quadrumane loves stroking sounds, with a fondness for the unusual, the little-twisted, the big-full-of-rhythm, the sinuous and the uncertain. Freezes you in a roar, mollifies you with a melody. Improvises a lot, a strike here, a blow there, plics, plocs, and even bzuts. This new quartet assembles four musicians from New York and Paris of the highest caliber in today’s contemporary jazz scene. 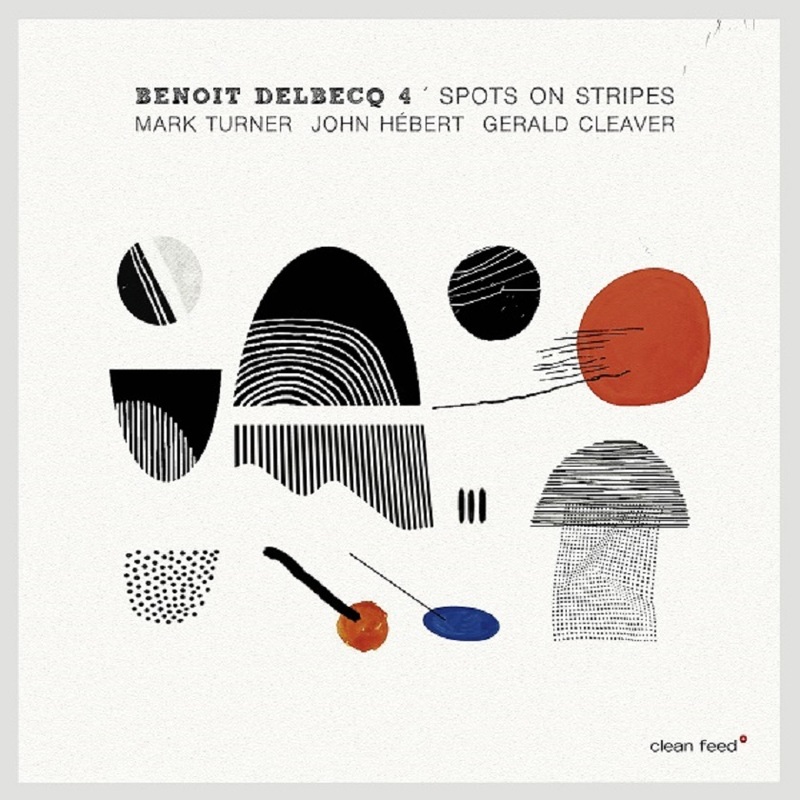 There are winding melodies written for silversmith Mark Turner who kneads them like dow when Delbecq elegantly seems to observe them from a mirror, as well as lines for John Hébert whose rocking bass may decide to shift the whole group’s harmony, the whole cooking magically with Gerald Cleaver’s stellar, soulfoul and contagious drumming. 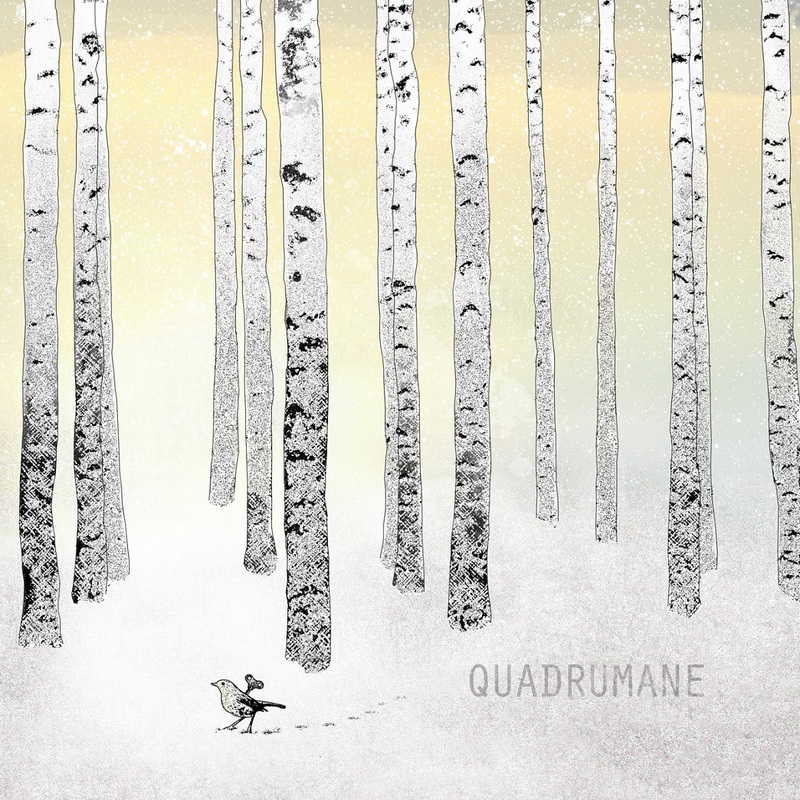 The quartet plays a nomadic and rhythmic music as if they followed a map with contour lines only, letting musical gems appear and farm them on the moment on such fertile terrain. Delbecq was born in 1966. Since the early nineties, his works have received acclaims from legendary musicians such as Mal Waldron, Steve Lacy, György Ligeti, Steve Coleman, Evan Parker, as well as from many critics and festivals around the world. He studied improvised music in Paris with free music pioneer Alan Silva. When aged 19, he joined Silva’s Celestrial Communication Orchestra, while jazz giant Mal Waldron mentored him to work on his own musical ideas. Delbecq has participated in a couple of jazz workshops at the Banff Centre and studied there with Dave Holland, Steve Coleman, Muhal Richard Abrams, among others greats. He also studied composition and music analysis with Solange Ancona, a former student of Olivier Messiaen. For composing he uses his own graphic notation he came cross with when transcribing the music of the Aka pigmees from the Central African rainforest. A former student of John Scofield, Samo Salamon was named by the magazine Guitar Player as one of 10 most interesting guitarists of the moment, with All About Jazz stating that this Slovenian is «one of the most talented and interesting to emerge on today’s jazz scene», putting him at the same level of Kurt Rosenwinkel and Ben Monder. The Penguin Jazz Guide choose his debut record “Ornethology”, from 2003, as one of the 1001 Best Albums in the history of jazz, and Salamon’s partnerships with such different musicians as David Binney, Sabir Mateen, Dominique Pifarely and Mark Helias say much about his importance on the world circuits. “Travelling Moving Breathing” is a new opus of his Bassless Trio, a project in constant change of contributors, after previous recordings with Tim Berne and Tom Rainey or with Julian Arguelles and John Hollenbeck and only the Italian drummer Roberto Dani staying from line-ups with Paul McCandless, Michel Godard, Achille Succi and others. Now the third wheel of this band’s dynamics is the American saxophonist Tony Malaby, culminating a good number of adventures together with the Eastern European who possesses «a monstruous technique and an intense desire to navigate multiple jazz related genres» (critic Glenn Astarita dixit) dating from 2004 and from the Samo Salamon Quartet. 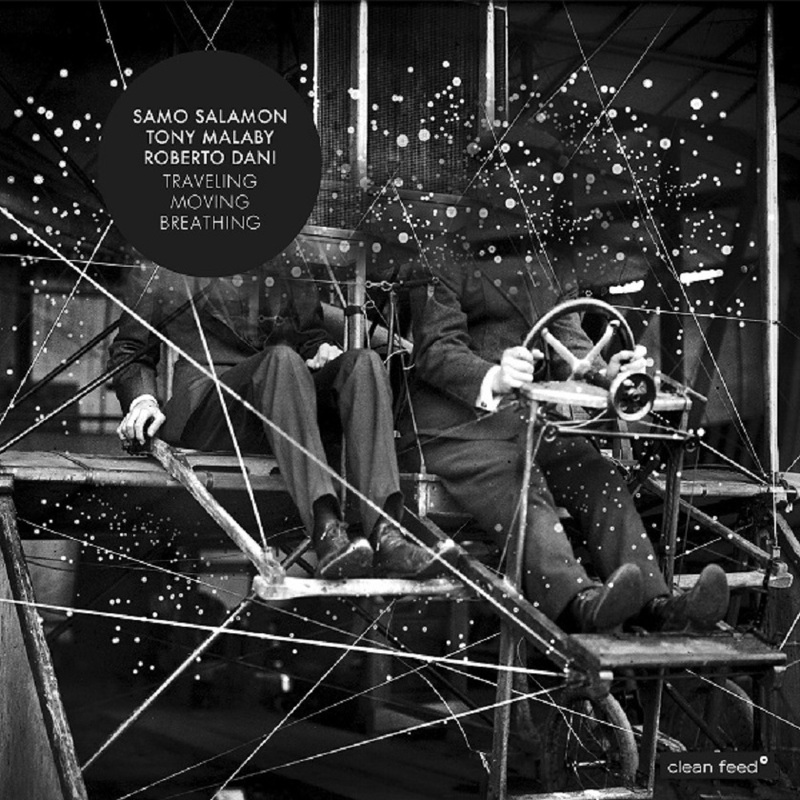 Salamon couldn’t have better company in Malaby and in Dani (him who already had the best with him) in his commitment to play a improvisationally-driven music capable to keep us on our toes from the first to the last minute. Frode Gjerstad’s name can be legendary in Norway and all the European continent, due to the fact that he was practically the only one to contrast himself, from the beginning, to the saxophone style which defined the Scandinavian approach to jazz for 40 years, the one defined by Jan Garbarek, but his trio with Jon Rune Strom and Paal Nilssen-Love is relatively new on the scene. It started in 2011 and there’s only another recording with trombonist Steve Swell as special guest, “At Constellation”, from 2015. Of course, there were some previous cumplicities between these musicians: Nilssen-Love was a member of Gjerstad’s Circulasione Totale Orchestra since 1992 and the alto saxophonist and clarinetist played with Swell in several occasions, mostly when visiting the United States. Musically, the quartet proposes a very particular kind of free improvised music with strong connections to the free jazz tradition, reinforced by the participation of the American who collaborated with the likes of Cecil Taylor, Bill Dixon and Anthony Braxton. The energy level is very high, but the delivery isn’t always on the red: lots of dynamics and sudden contrasts keep the group interactions interesting and unpredictable. 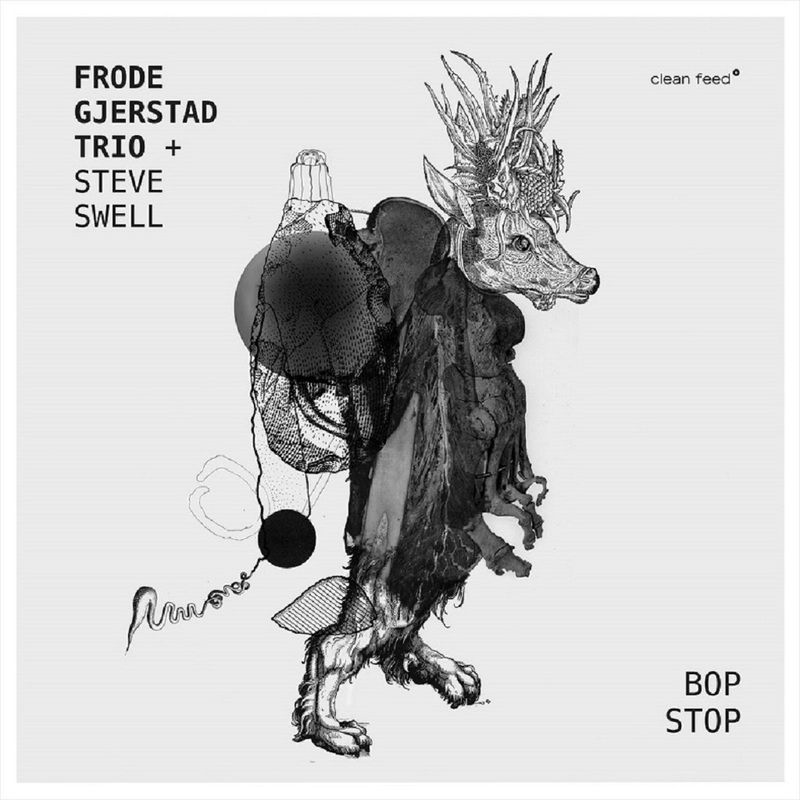 Frode Gjerstad’s approach to improvisation is distinctive in itself: he’s a melodic player, even if asymetrical, and he prefers the “old school” jazz phrasing to «reed-fueled bric-a-brac», as a music critic once wrote, managing to present it as if it’s a novelty. 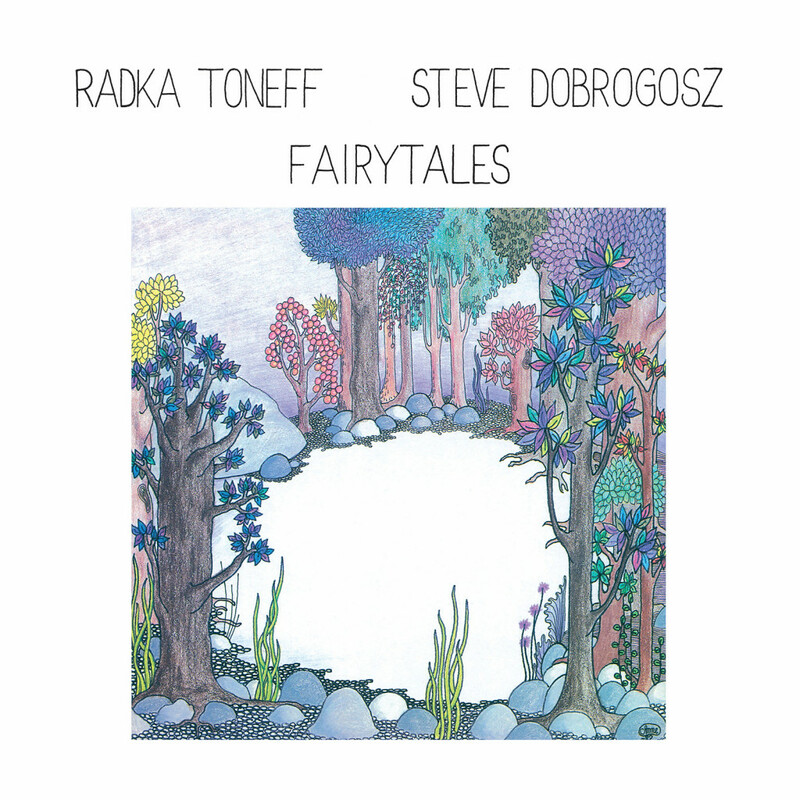 Radka Toneff and Steve Dobrogosz’s perfectly attuned duo collaboration has served as an inspiration to both musicians and listeners for three decades. Fairytales, is Norway’s best-selling jazz album, and was also voted Norway’s best album of all time in a poll of Norwegian musicians in 2011. The remarkable sound quality of this album, recorded using one of the earliest digital tape recorders, has been recovered and captured using MQA technology. MQA has recreated the sound of the duo’s breath-taking original performance for this special master edition. This fresh, re-mastered version of the album is based on the original 16 bit/ 50,35 kHz master tape from 1982, and for the first time the album is made available as a Hybrid SACD. The process of upgrading the already superb sound quality of the recording is bringing the listener even closer to the music as it was played and sung at the Grieg Hall in February 1982, when the unique chapter of “Fairytales” was written into Norwegian music history. Radka Toneff (1952-1982, Norwegian mother, Bulgarian father) was established in Norway and its neighbouring countries as a unique singer and leader of her own band when she and American pianist Steve Dobrogosz (1956- ), who was living in Sweden, recorded Fairytales in February 1982. They had known each other since 1979, when Dobrogosz took over as the pianist in Radka’s quartet, in which bassist Arild Andersen, for several years Radka’s closest musical collaborator and record producer, and Danish drummer Alex Riel formed the remainder of the ensemble. When playing their quartet gigs Radka and Steve often introduced a duo or two, and they had also recorded an improvised duo version of the standard “My Funny Valentine”, which was produced by Erling Wicklund at the end of a radio recording session at the Norwegian Broadcasting Corporation, in November of that year. 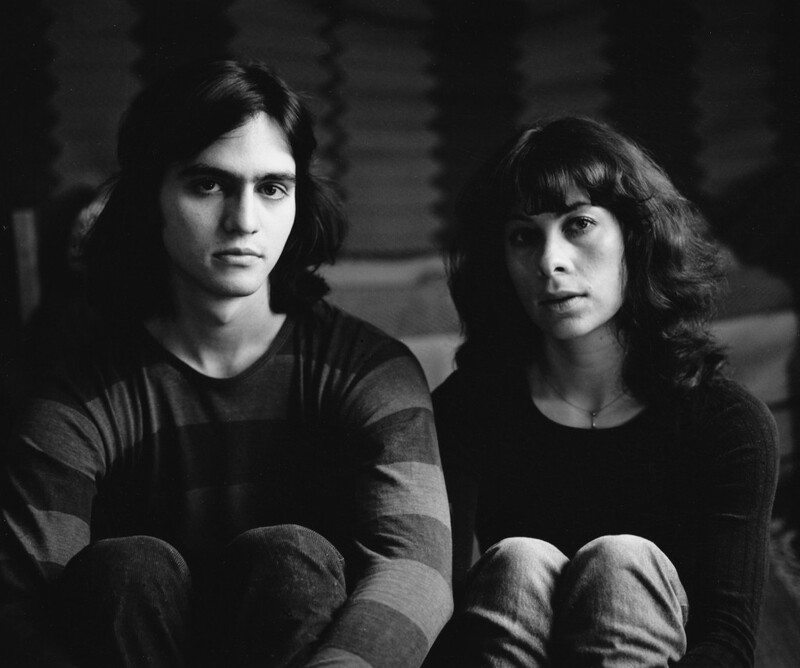 This remarkable ad hoc duet, which would become track five on Fairytales, had inspired Steve to play with the idea of a duo album, and when Radka, a few years later, was wondering whether to follow up her two albums “Winter Poem” (Zarepta, 1977) and “It Don’t Come Easy” (Zarepta, 1979) with an orchestral recording as her third record, Steve suggested the duo format as a diametrically opposed alternative. Radka eventually welcomed the idea, but as the Zarepta label had been dissolved she had no record company behind her. None of the record companies in Norway or Sweden had given the duo a positive response until the Norwegian Jazz Federation’s newly launched label, Odin, entered the scene. Rolf Grundesen, then head of the Federation, suggested recording the album at the Grieg Hall in Bergen, which had digital recording equipment and a good grand piano. 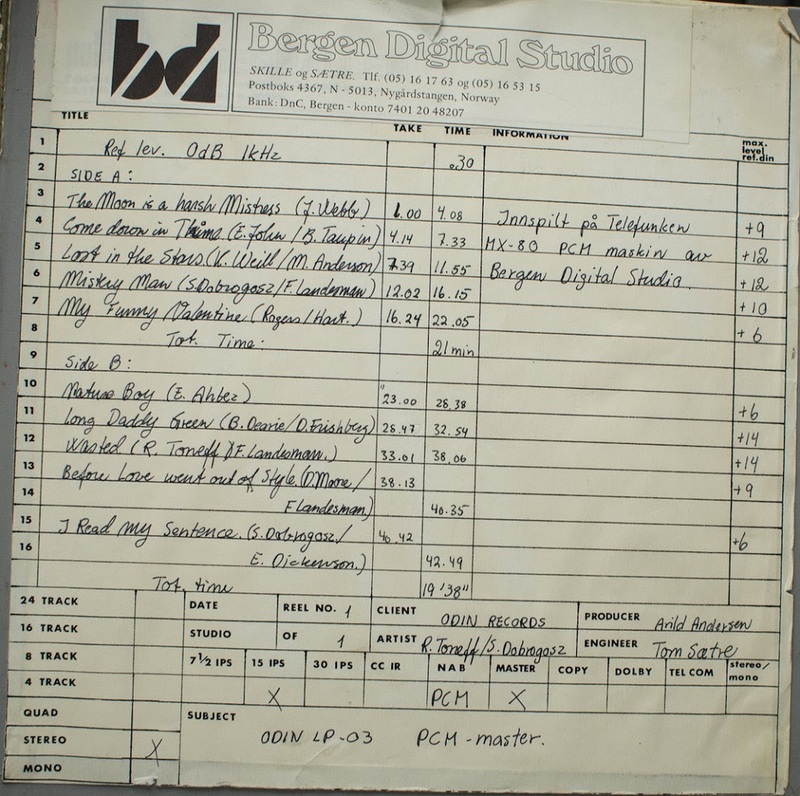 Nine songs were recorded in the course of two evenings, with Arild Andersen producing. 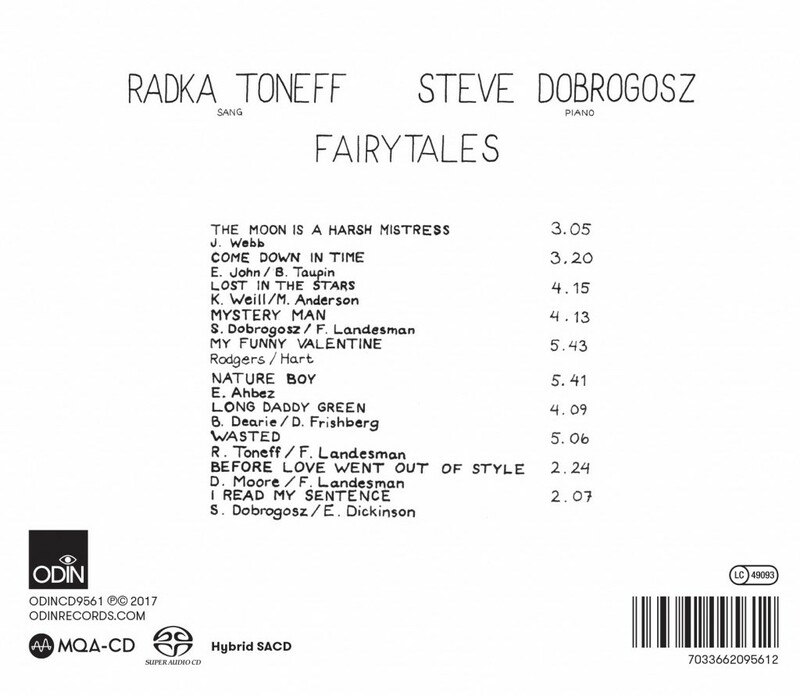 Fairytales had a solemn epilogue when Radka died under tragic circumstances a few weeks after the album was released and had begun to go from strength to strength. In retrospect, though, it is not the memory of the loss of an incomparable singer, but rather the content of what Radka accomplished together with her American duo partner that keeps Fairytales alive. “It’s not just the sound itself, but it’s also about how Radka sings, about the sensitivity in her voice,” Steve Dobrogosz has said. The pianist describes Radka as a superb, forthright and genuine interpreter who was “at her best” with Fairytales, and he rejects any implication that she sounds especially lonely or depressed, or that the album can be construed as part of any autobiographical timetable. The sum of singer Radka Toneff was, naturally, more than the parts she was able to display on Fairytales. But when practically all subsequent singers in Norway, from Sidsel Endresen up to the young talents of today, get a warmth in their voices and eyes when they talk about Radka as an artistic ideal and a source of inspiration, it is not least because they heard Fairytales at some point, and were sold. The fact that the album has also been the impetus for an interest in Radka that has produced posthumous records, books, radio documentaries and countless articles only confirms the strong position the album still occupies.